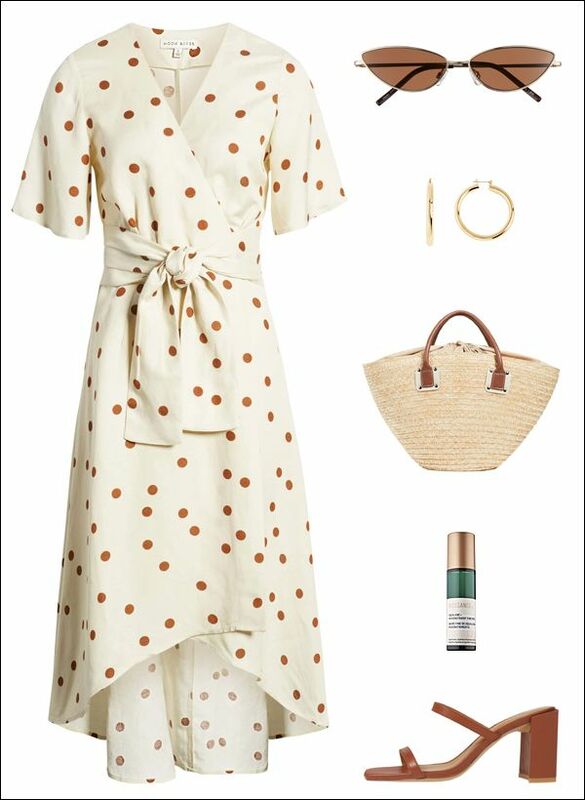 We are swooning over this polka-dot wrap midi dress—Not only is it $100 (score! ), it’s perfect for dressing up or down this spring and summer. For a polished take wear the dress with cat-eye sunglasses, chunky gold earrings, a chic basket tote bag, and strappy sandals. To complete the look, add a revitalizing face mist for the ultimate fresh glow.